Katie is the CEO and Co-Founder of Katie Lance Consulting. Katie is a nationally known keynote speaker at conferences and events. 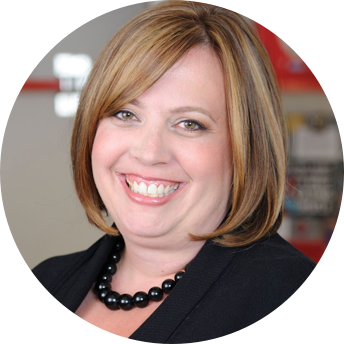 For the past 10 years Katie has been working with agents and brokers to help them get smarter about how to use social media to grow their business. Her specialty is in helping real estate agents and brokers achieve big results using social media WITHOUT spending a ton of time! She is also the author of the best-selling book, #GetSocialSmart and the founder of the #GetSocialSmart Academy. Katie has been named one of the most 100 influential people in real estate by Inman News and is a frequent contributor to The Huffington Post. She lives in the San Francisco Bay Area with her husband and 2 beautiful boys. I’ve had the pleasure of working with Katie on more than a dozen occasions, she is the real deal. Professional, insightful and tireless in her quest to help her clients succeed. The added bonus is that she’s also one of the warmest people I’ve met in this industry. Great content, updated often, organized helpfully. Great enthusiasm and passion. Connects well with every audience and handles questions well. Katie is the real deal. She has practical, actionable tips to share, great roadmaps for building your brand, and engaging content to share. She is the real deal of social in a world of frauds. If you want to boost your brand in an authentic way — you’d be well-served working with Katie. There are only a few people that I follow everything they post about social media. KATIE is one of those people! She lives and breathes cutting edge social media techniques that are practical and helpful for entrepreneurs. I have benefited greatly from her expertise. Plus, she is always reachable and responds to me when I need help. Highly recommend Katie Lance! Katie is a great teacher for all things social media. She has a wealth of knowledge, experience and stays up to date on the tools and technology pertaining to launching and managing effective social media campaigns. ARE YOU READY TO #GETSOCIALSMART?